Blade: Trinity may not be the most beloved comic book movie adaptation of all time, but fans should appreciate at least one thing that came out of it. 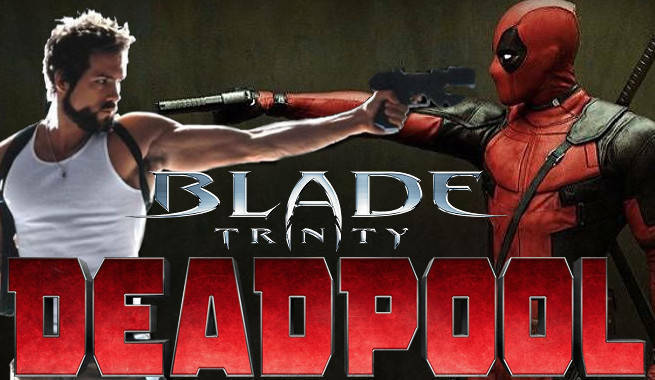 As it turns out, it’s the movie that got Ryan Reynolds the role of Deadpool. That’s what the Deadpool star tells Empire Magazine. Reynolds played vampire hunter Hannibal King in Blade: Trinity. Reynolds did well enough with King’s movie incarnation, was bore certain similarities to Deadpool – sarcastic, profane, and adept with swords – that a Fox executive figured he’d be perfect to play Wade Wilson, and dropped a stack of Deadpool comics in Reynolds’ lap. “Seeing as you’re essentially playing this guy anyway, maybe you should play him for real,” Reynolds recalls the executive saying. Despite Deadpool’s apparent similarities to Hannibal King, Reynolds says it was the differences that really excited him.